So on my 38th birthday I drove 170 miles to Beech Grove, Virginia, and finally conquered Reeds Gap on my bicycle. The road was lined in snow and there was ice on the final 100 meters but I did it! Then I gloated. And then another visit to Indiana for the 2003 Christmas. I was able to see Robert whom I'd not seen for 7 1/2 years. 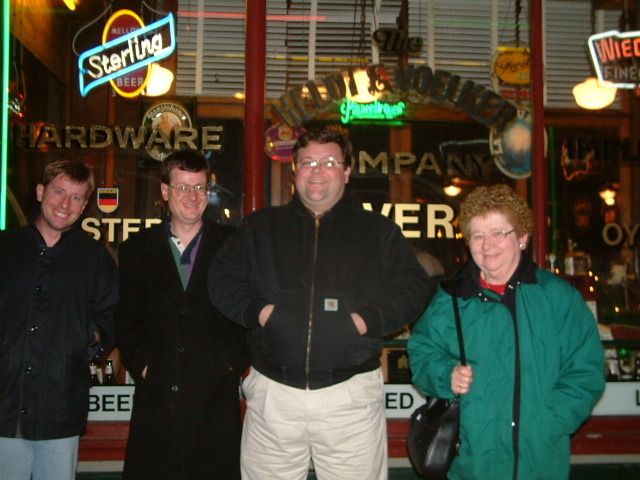 It was fantastic...my brother Darrel (with wife), my mother, and myself met Robert at a German restaurant in Evansville and stuffed our heads with German food. Then we shot this picture of us with stuffed heads. 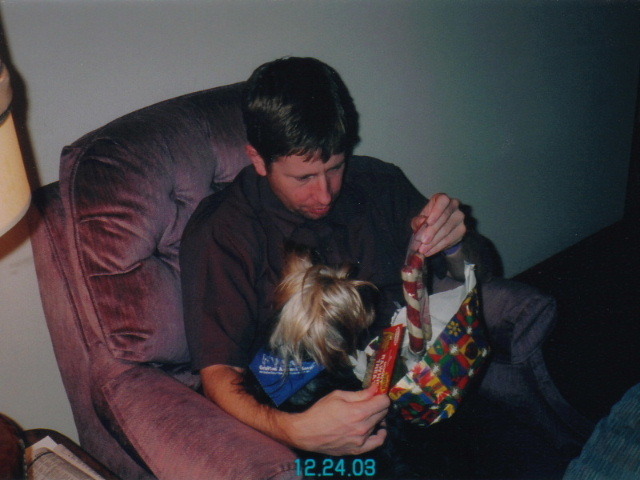 Then I opened Gizmo's presents with him. This was a nice Christmas. Gone were the relationship pains, the people I missed. 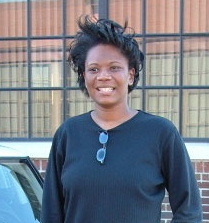 Living in seclusion had done me well and I only had casual friendships in Virginia. I liked it a lot. People aren't worth stressing over. Gizmo was my one, best friend. And he was worth the effort.